In most personal injury cases, a lawyer will charge a contingency fee. 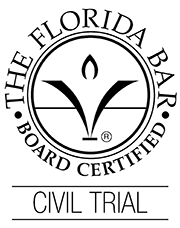 This system allows the injured party to hire an experienced lawyer without having to front the cost of legal fees. The lawyer only gets paid when the client collects. In a contingency fee arrangement, a lawyer’s fee will be deducted from the final settlement in your case, or from the final verdict at trial. Most contingency fees are 33.3% before litigation, and jump up to 40% in litigation. 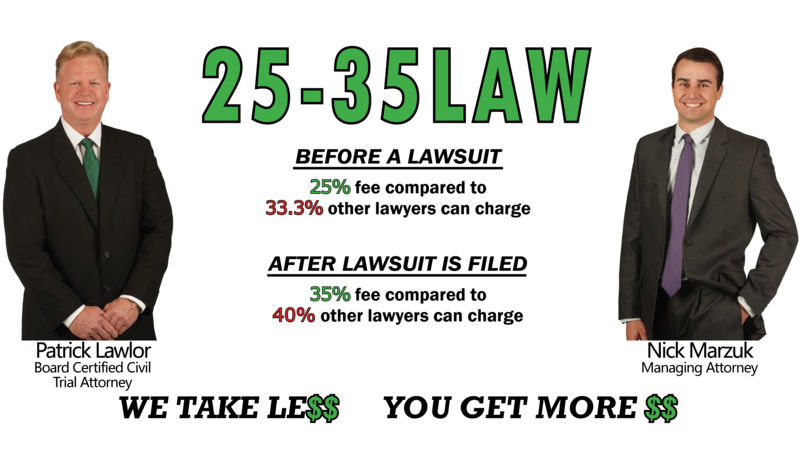 At Lawlor & Associates, our contingency fees are only 25% before litigation – and when other firms would increase their fee to 40% in litigation, we only increase our fee to 35%. We take less so you get more! WE TAKE LE$$ YOU GET MORE $$ The cost of hiring a lawyer shouldn’t prevent you from getting the high quality representation you deserve. After an accident or injury, you will need an experienced law firm on your side. However, you may be hesitant to contact an attorney due to the cost of hiring a lawyer. At Lawlor & Associates, we have reduced our attorneys’ fees to a lower percentage than the Supreme Court allows. WE TAKE LESS SO YOU GET MORE! The cost of hiring a lawyer shouldn’t prevent you from getting the high quality representation you deserve. After an accident or injury, you will need an experienced law firm on your side. However, you may be hesitant to contact an attorney due to the cost of hiring a lawyer. At Lawlor & Associates, we have reduced our attorneys’ fees to a lower percentage than the Supreme Court allows. EXPERIENCE YOU CAN COUNT ON. LAWYERS YOU CAN TRUST. If you’ve been injured, making the decision to get professional legal help is not always easy. From the moment you contact Lawlor & Associates, our goal is to show that you made the right choice. We are your Personal Injury Lawyer Experts! Whether you were hurt in a car accident, slip & fall, boating accident, motorcycle accident, or any personal injury accident, we’ll treat you with the care and attention you deserve. Lawlor & Associates has the knowledge and resources to help you get the best results possible and as quickly as possible. Take the first step toward getting the compensation you deserve, and contact your local personal injury lawyer at Lawlor & Associates today.